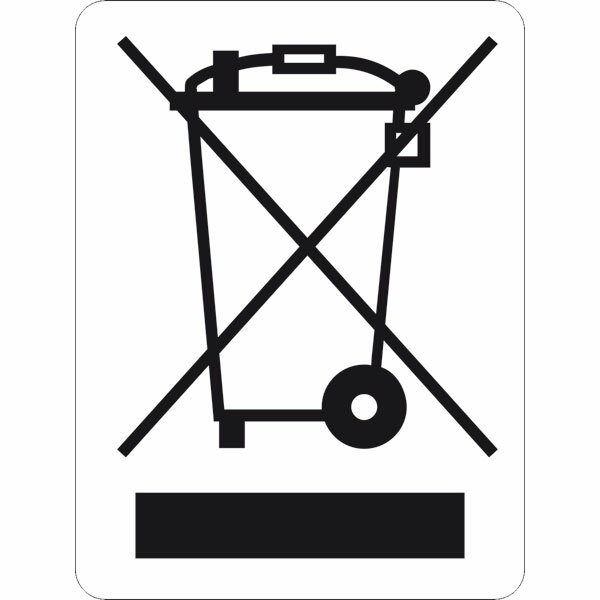 From March 2014 retailers are obliged to take back WEEE (Waste Electrical and Electronic Equipment) and Waste Battery from members of the public free of charge. This EU directive ensures that all historic WEEE products are collected, treated and disposed of in an environmentally sound manner. Take back is on a one-for-one basis only and the product must be of a similar type or have performed the same function as the new product purchased. As EEE producers we are happy to finance the take back and environmentally sound management of EEE that we have placed on the market on and from 13/02/2005 and EEE placed on the market prior to that date that is replaced by the user with new equivalent products. B2B WEEE may not be taken to civic amenity sites for management and a visible management cost does not apply to B2B EEE placed on the market. You can return your old product/waste batteries at the time of collection of the new product or you can call us on 01-6275611 to arrange to collect your old product/waste batteries. Alternatively you can bring it to our premises. You can also bring your old product to your nearest civic amenity centre, of which there are approximately 64 located throughout the country, which will allow consumers to dispose of all old electronic equipment and waste batteries free of charge. We do not offer a WEEE collection service. Waste Electrical and Electronic Equipment (WEEE) and waste batteries must never be placed in your waste disposal or recycling bins. WEEE is taken back free of charge at our warehouse on a one-for-one like-for-like basis. Local authority civic amenity facilities also take back WEEE and waste batteries free of charge. WEEE and waste battery recycling is free. What are the Environmental Management Costs or Producer Recycling Fund(PRF)?